Have your microwave oven running again in no time by simply calling HappyAppliances today. The kitchen is the heart of most households, so when it comes to home appliance repairs, the experienced engineers at HappyAppliances understand that your most vital household appliances are there. In today’s society, microwaves have become more frequently used and they play a significant part in our lives. When your microwave no longer works correctly or has stopped working at all it could take longer than a couple of minutes to prepare a meal. The good news is that you do not necessarily have to purchase a new one. We at HappyAppliances are passionate about providing efficient and thorough microwave repair services. Our goal is to make sure that our clients can continue to serve home-cooked meals with ease. HappyAppliances technicians are professionals that are here to help you determine and fix your microwave problems. They can repair the issues, and give an answer to all of your questions. You be certain that we have the knowledge and resources to fix your microwave. The buttons do not work. Microwave plate does not spin. Microwave constantly blows fuses or there are sparks inside the microwave. Microwave cooks slowly or unevenly. Microwave makes loud noises, such as humming. Microwave fan is not running. Don’t get a headache over a simple cooking appliance fix - call HappyAppliances today and let us tackle the problem. We are an experienced appliance repair service company and have years of experience repairing different brands of microwave ovens. 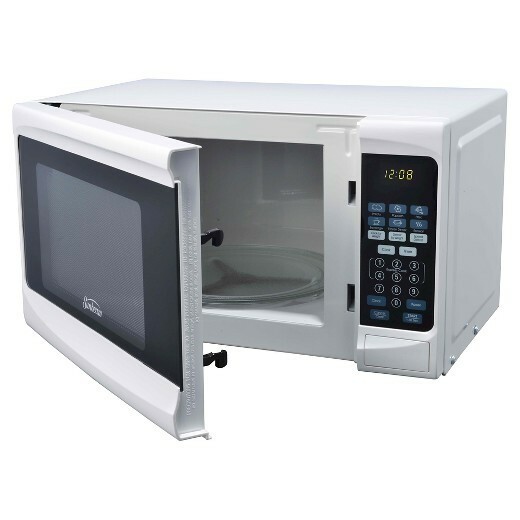 Our microwave repair technicians are familiar with the newest features and latest technology whether it is a countertop or built-in microwave. We will provide fast and effective service. We will give you a call 30 minutes before we arrive and all our work has a 12 month guarantee for your peace of mind. Getting your microwave oven repaired is just one phone call away.